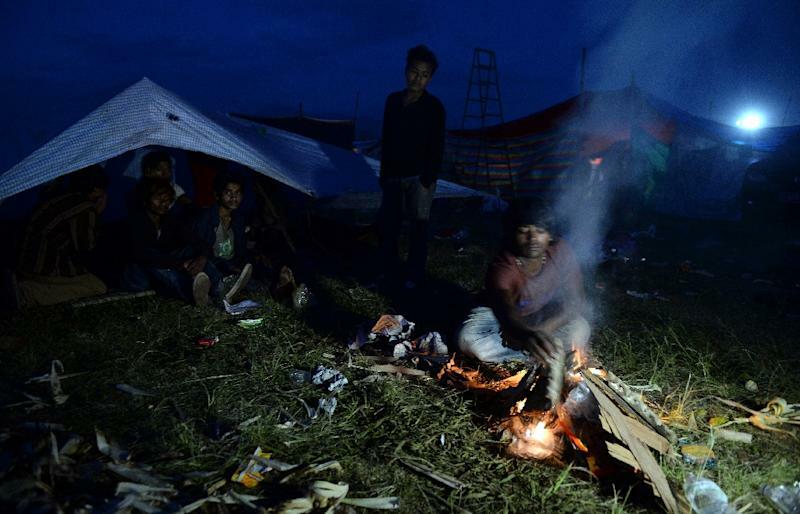 Hundreds of thousands of Nepalis spent another night in the open Monday after a massive quake which killed more than 4,000, as officials warned the final toll could rise sharply once rescuers reach cut-off areas. With fears rising of food and water shortages, Nepalis were rushing to stores and petrol stations to stock up on essential supplies in the capital Kathmandu, left devastated by Saturday's 7.8-magnitude quake. Officials say more than 4,100 people are now known to have died, including 4,010 in Nepal -- making it the quake-prone Himalayan nation's deadliest disaster in more than 80 years. But senior disaster management official Rameshwor Dangal said the toll in Nepal could jump once rescuers discovered the full extent of devastation in villages outside Kathmandu. 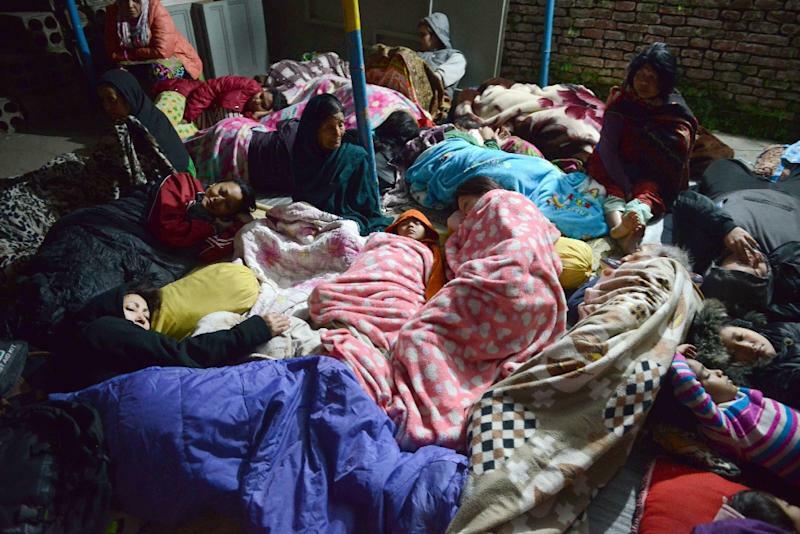 "Rescue operations are underway, and in many places where buildings have collapsed there might be people trapped," Dangal, the home ministry's national disaster management chief, told AFP. "We are also in the process of getting information from villages, and these will add to the death toll." The exodus came as international rescue teams with sniffer dogs raced to find survivors buried in rubble, and teams equipped with heavy cutting gear and relief supplies landed at the nation's only international airport. Elisabeth Byrs, a spokeswoman for the UN's World Food Programme, told AFP the agency would launch a "large, massive operation" with the first plane carrying rations set to arrive on Tuesday. Pledging $10 million in relief to help the victims, US Secretary of State John Kerry said he had been shocked by the "gut-wrenching" images of the death and destruction. Speaking at the same press conference, Japan's Foreign Minister Fumio Kishida said that Tokyo was sending some $8 million in aid to Nepal. "This is a nightmare. Why don't these aftershocks stop?" asked 70-year-old Sanu Ranjitkar, clutching her dog and with an oxygen mask strapped to her face as she sat under a tarpaulin. "There is just too much fear and confusion," said Bijay Sreshtha, who fled to a park with his three children, wife and mother when the quake hit. Fears were rising of a disease outbreak in the multitude of camps that have sprung up around the city. "Right now, it is important to prevent another disaster by taking precautions against an outbreak of diseases among the survivors," army official Arun Neupane told reporters. "We need more helicopters for our rescue operations in rural areas," home ministry spokesman Laxmi Prasad Dhakal told AFP. "We also need supplies of essential goods such as food and clean water to provide relief for survivors." The quake triggered an avalanche on Mount Everest which buried part of base camp in a cascade of snow and rock, killing at least 18 people Saturday on the world's highest mountain. The US State Department confirmed Monday that two of its citizens were among those killed on the mountain, adding that they were aware of reports that two further Americans had died. Australia's Foreign Minister Julie Bishop confirmed that an Australian woman also perished on Everest. Hundreds of mountaineers had gathered at Everest at the start of the annual climbing season, and the real scale of the disaster there has been difficult to evaluate so far. Reconstruction efforts in impoverished Nepal could cost more than $5 billion, or around 20 percent of the country's GDP, according to Rajiv Biswas, Asia Pacific chief economist at business research firm IHS. 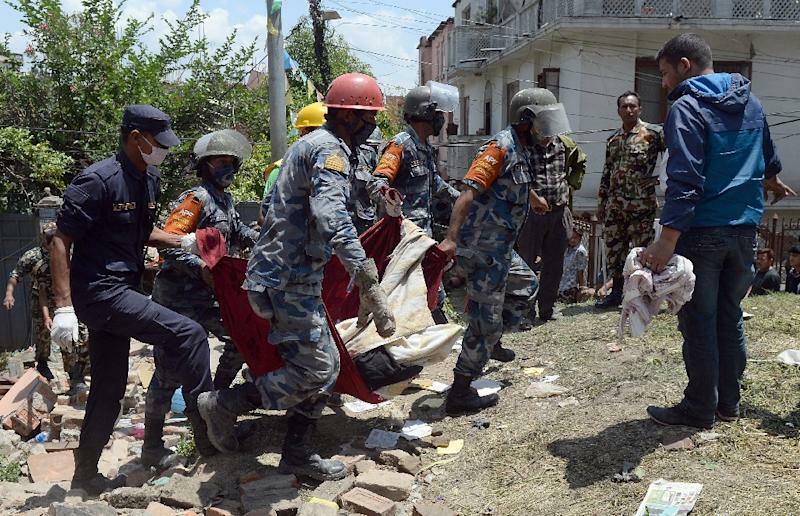 Nepal's army said crews trying to rescue those trapped in the rubble of high-rise buildings in the historic centre of Kathmandu were being hampered by a lack of specialised equipment. "We need more equipment that can detect sounds and help track survivors," Colonel Naresh Subba told reporters. In Kathmandu's Balaju neighbourhood, one father endured the agony of watching police pull the body of his daughter from the rubble of their home after using a combination of hammers and bare hands. "She was my everything," said Dayaram Mohat as he collapsed in grief on hearing the news of his 14-year-old daughter Prasamsah's death. The quake's epicentre was around 45 miles (73 kilometres) east of the town of Pokhara, the country's centre for adventure sports. An AFP correspondent reported the town had been largely unaffected and tourists were continuing their holidays.